While walking through Oli’s neighborhood we came across what looked like a huge parsley plant. Of course curiosity got the better of us and we just had to nibble a leaf. It had a sharp and somewhat spicy celery/parsley taste with an initial hint of citrus. I recognized it as the elusive taste that made my grandmother’s chicken soup so unique and delicious. Oli was immediately taken back to the Icelandic kitchen where this wild herb was mostly used in soups. After much reminiscing, head scratching and Googling, we finally identified the mystery herb as skessujurt or libbsticka. That’s Icelandic and Swedish for lovage. If you are familiar with the European seasoning cube called Maggi then you know the taste of lovage. Lovage puts the tang in Maggi. So, on to today’s recipe. With lovage on the taste buds and a container of Chesapeake Bay Style Seasoning in hand Oli set out to experiment. 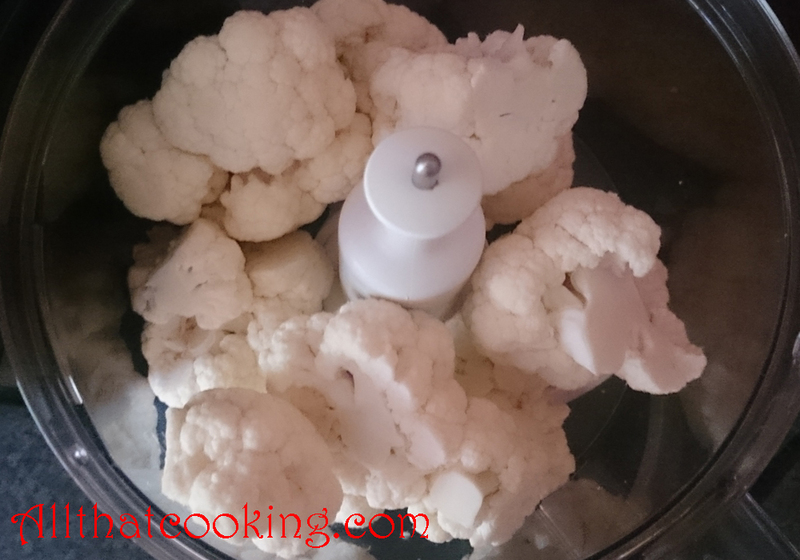 The result was a gluten free, vegetarian salad with a cauliflower “couscous” base. Seems like cauliflower couscous is all the rage, so why not jump on the band wagon? 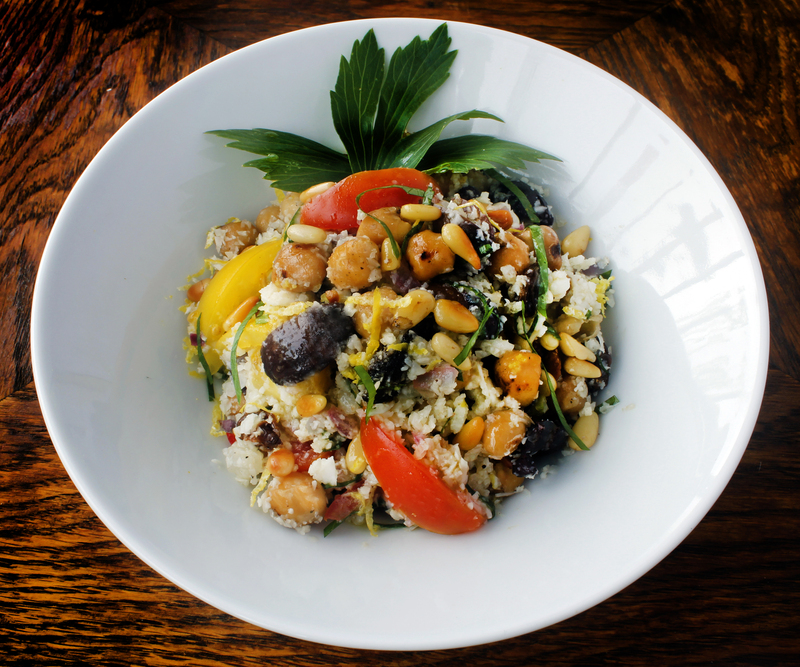 Anyway, the addition of chickpeas, kalamatas and pine nuts is a nod to the Mediterranean. Summer’s last garden tomatoes and a chili pepper make it fresh and spicy. In case you’re wondering about the choice of seasoning – why not? Who says seafood seasoning is just for seafood? Even the Old Bay Seasoning site say’s it great on everything else. And by the way, Old Bay seasoning is a good substitute for the Chesapeake Bay seasoning that Oli used. As for the lovage. . . I plan to add it to my herb garden then add it to omelets, soups, salads, fish, fowl, meat dishes – you name it. I do know that a little will go a long way and the flavor remains strong throughout cooking. Just a few leaves will do wonders. I can’t wait to experiment with this new yet familiar taste. In a small bowl whisk olive oil, lemon juice and mustard until well blended. Salt and pepper to taste. Reserve. Cut cauliflower head in half. You can then easily cut the florets from the core. Rinse florets before proceeding with recipe. 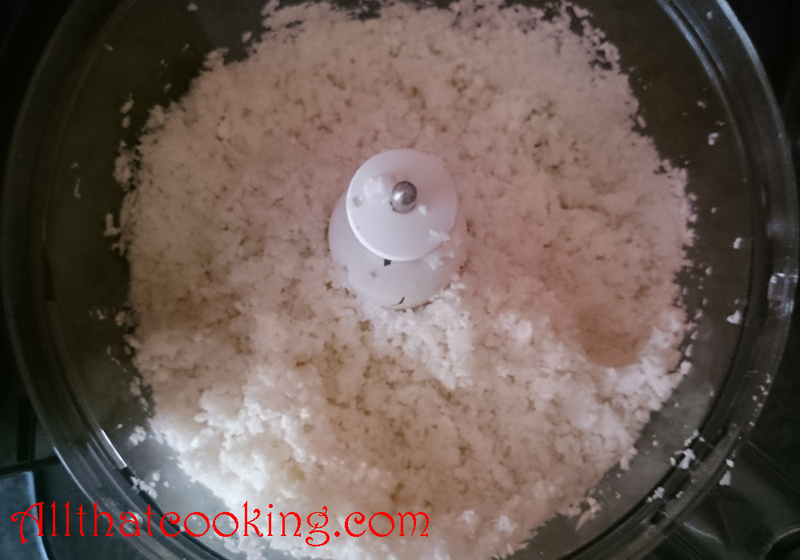 Place florets in bowl of a food processor and pulse until evenly chopped but not pulverized to paste. It should look like couscous or rice. 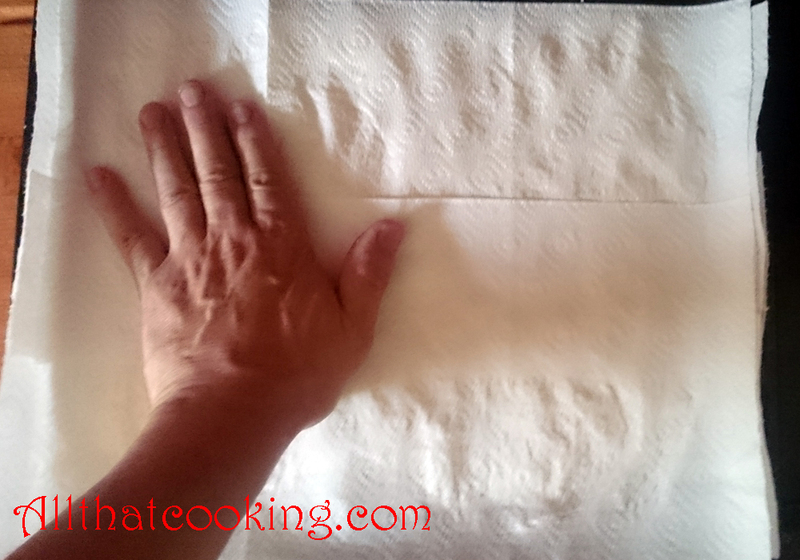 Spread “couscous” onto a paper towel lined tray, cover with another paper towel and use you hands to press out most of the moisture from the cauliflower. Heat a medium skillet over high heat, add pine nuts and toast until lightly colored. Give the skillet a few shakes to evenly toast the nuts. Watch carefully. Pine nuts contain oil and will burn quickly. Reserve. Pour 3 tablespoons of the oil into the same hot skillet, toss in onion and chili. Cook until onion is translucent. Stir in “couscous” and cook for a minute or two. Set aside to cool. Add remaining oil to skillet, toss in chickpeas, shake in seasoning and sugar. Cook and stir until chick peas are caramelized. Reserve. Compose the salad. 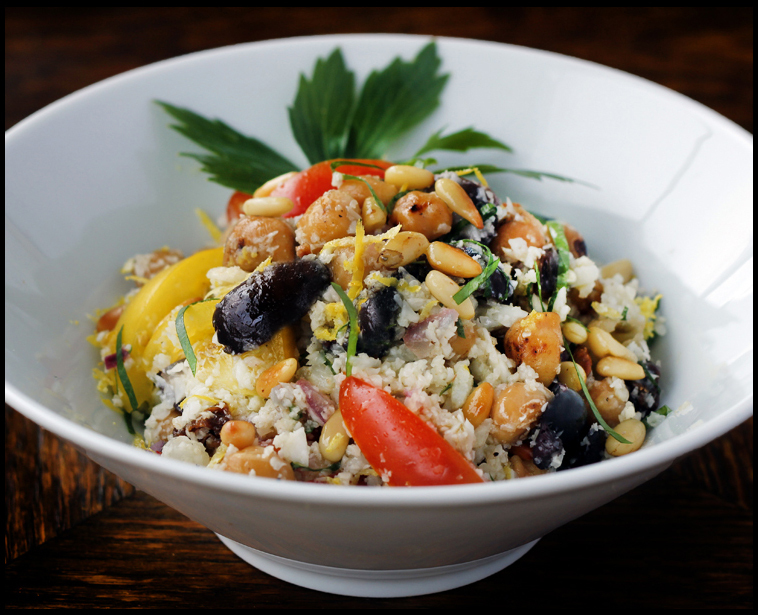 In a large serving bowl, gently combine everything but the pine nuts and lemon zest. Salt and pepper to taste. Top with pine nuts and lemon zest. Give the dressing a quick whisk and allow each person to dress their own salad. 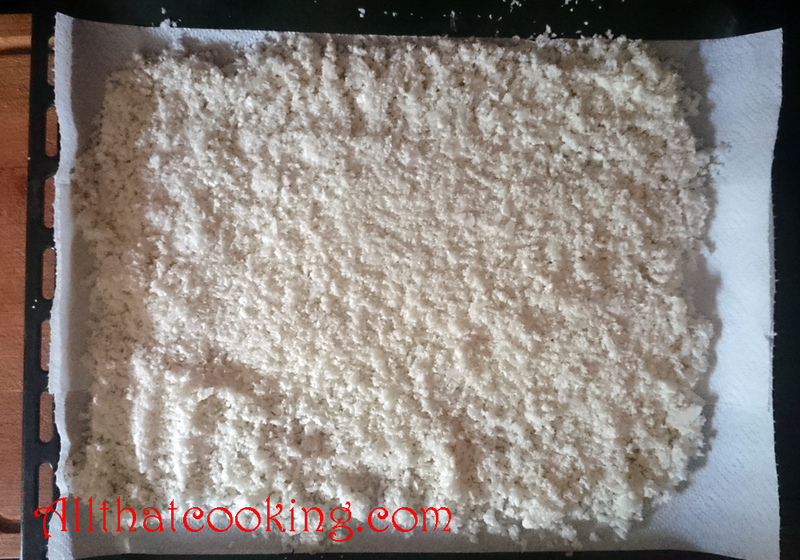 Gallery | This entry was posted in Gluten free, Main Dishes, Salad, Sides, Vegan, Vegetarian and tagged "cauliflower couscous", chick peas, gluten free, libbsticka, lovage, salad, seafood seasoning, skessujurt, vegan, vegetarian. Bookmark the permalink. It’s called Liebstock or Maggikraut (magic herb) over here. I had one a couple of years ago, but didn’t survive the winter. Gotta plant one again next year. Your low-carb salad looks very healthy and tempting. Oh this sounds really good!!! Very healthy and light! 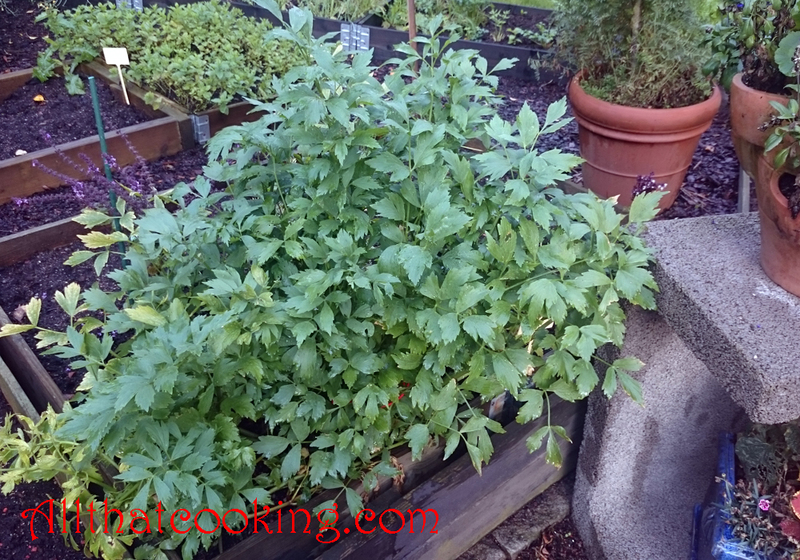 I remember the taste of lovage (skessujurt) when i was a young boy, my mother used it in soups. This “Couscous” Salad looks good.